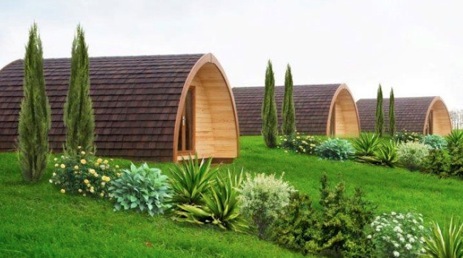 Our eight glamping pods are at Village Farm in the private 1500 acre Notgrove Estate in the heart of The Cotswolds and we offer a true holiday experience. Meet the animals, explore the Estate using the mapped out walks and cycle paths. Surrounded by stunning Cotswold countryside with access to walks over the 1500 Notgrove Estate it’s the ultimate in peace and relaxation. 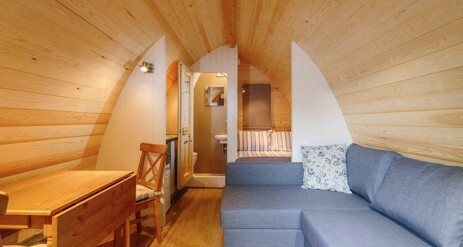 It’s also an ideal location to visit many of the Cotswolds most popular towns, villages and attractions. 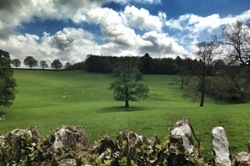 Notgrove is a mere 3 miles from the beautiful Bourton-on-the-Water and the market town of Northleach and just a twenty minute drive from Burford and Cheltenham. With Adam Henson’s Cotswold Farm Park just along the road and The Wild Life Park at Burford we have plenty to keep the kids entertained. 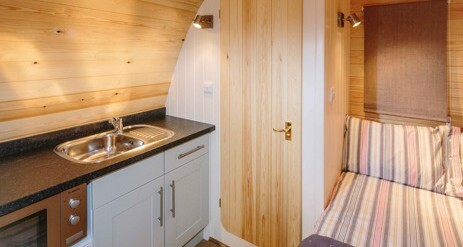 Our luxury Mega Pod Glamping Accommodation sleep 4 and all come with en-suite shower and WC. 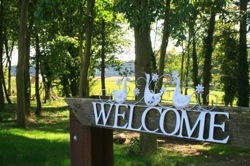 There is an on site games room, a mini football pitch and our friendly animals we welcome couples and families looking to enjoy the laid back Cotswold life. 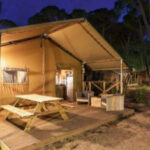 Our new contemporary safari tents will be open in April 2019 but you can book your stay now. The luxury tents can sleep up to 6 people in three fully furnished bedrooms with a flushing loo. All landscaped within a former cricket field and enclosed by beech trees, they’re surrounded by the 1,500 acre private Notgrove Estate in a unique natural setting. 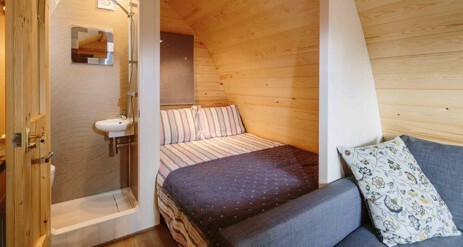 A perfect venue for groups of up to 30 people. 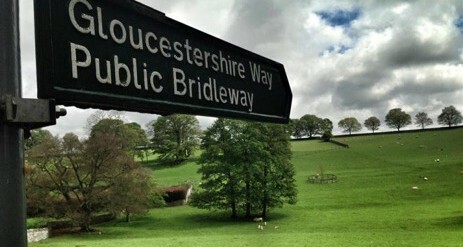 The best way to see the stunning scenery around Notgrove is on two wheels and we have mapped out our favourite cycle routes for you. We have a range of bicycles you are welcome to hire. Please book bikes with us in advance to be sure of availability. As we know the great British weather can’t always be relied upon…..our onsite games room ensures you can keep the family occupied whatever the weather. For the big kids we have table football, table tennis and for the little ones a variety of books, toys and games to suit all ages. 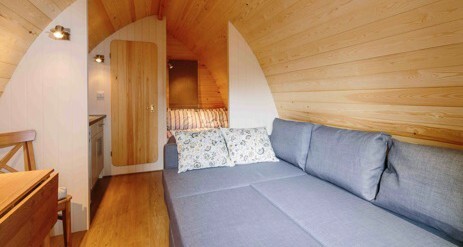 For parents enjoy a drink from the hot drinks machine, relax on the sofa and enjoy a welcome alternative you your pod. We have an outside sport area, ideal for football, rounders and a great place for the kids to burn off some energy. 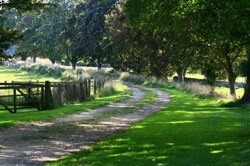 The paddocks opposite the pods house our four legged friends, meet the donkeys, goats and alpaca. Help out at feeding time and learn all about them. Collect eggs from our chickens, and enjoy them for breakfast. Minimum of 2 nights, bank holidays are a minimum of 3 nights Fri-Mon.